The outlook for our native prairie birds (sharptails and prairie chickens) and the well-established import, the gray (Hungarian) partridge, is mixed this year. Severe drought across much of the Great Plains has had negative impacts on habitat. As this report is being posted, landowners—especially from Kansas up to South Dakota—have received permission to cut hay or graze livestock on their Conservation Reserve Program (CRP) acres. A very hot summer may also have resulted in some losses to newborn chicks. Last year, an estimated 6,000 hunters in NEBRASKA harvested about 17,000 prairie grouse. Like South Dakota, that total is sharptails and chickens combined. This year, the lek surveys remained stable. However, reports from the rural mail carrier survey indicated that prairie chicken numbers are up statewide with the exception of the southwest, where the drought is the worst. The drought will also hurt the special prairie chicken season in southeast Nebraska due to habitat losses. The best region for prairie grouse in Nebraska remains the Sand Hills, where bird numbers are up. That region won’t suffer as much from habitat loss on CRP ground because it has less row crop farming than other parts of the state. PIERRE, S.D. – Annual August pheasant brood counts in South Dakota indicate that the statewide pheasant population is up from last year, and that should equate to an excellent pheasant season this fall. Results of the survey show that pheasant numbers grew in many areas of the state, due in large part to a mild winter and ideal weather during the nesting and brood-rearing season. The pheasants-per-mile index for 2012 is 4.21, up 18 percent from the 3.57 index of 2011. Much of the improvement in the pheasant counts came from areas of the state that had a good habitat base. Gov. Dennis Daugaard said the pheasant survey is good news for the state. “Pheasant hunting is important to the economic well-being of South Dakota, and it also helps support the strong outdoor heritage of our state,” the Governor said. around the state. View list of PLOTS Guide vendors. View weekly webcast on PLOTS Guide details. updated periodically to reflect recent changes. hecked it out with us. Note: Turn off popup blocker. Sportsmen (PLOTS), for the first week of pheasant season (October 13-19). Game and Fish Department's PLOTS program. of a noncriminal offense and shall pay a one hundred dollar fee. Select map sheet in table below that corresponds to the map number above. The Minnesota Department of Natural Resources (DNR) has completed the 2011 Small Game Hunter Survey. Results are available online. DNR annually surveys small game license buyers to estimate both hunter numbers and harvest trends. For the 2011 hunting season, DNR mailed 6,500 surveys to small game license buyers and 58 percent returned usable questionnaires. As expected, pheasant hunters and pheasant harvest declined in 2011 after two moderately severe winters and a cold, wet spring. Overall, the estimated number of pheasant hunters (77,000) decreased 13 percent from 2010. The drop corresponded with a slight decrease in pheasant stamp sales. An estimated 204,000 pheasants were harvested in 2011, a 43 percent drop from 2010. The number of birds harvested per hunter also fell from 4 to 2.6. Both hunter numbers and harvest were at their lowest recorded level in recent years. Regulation changes, including an earlier opening date, likely are factors that contributed to the number of duck hunters (83,500) increasing 14 percent in 2010 and the year’s harvest increasing 18 percent. The increase in hunters corresponded with an increase in duck stamp sales. Hunters harvested 730,000 ducks in 2010 but the results for individual hunters increased only slightly, from 8.5 birds per hunter in 2010 to 8.8 birds per hunter in 2011. Ruffed grouse hunter numbers (93,800) remained unchanged from 2010, and ruffed grouse remained Minnesota’s most popular small game species in 2011. The 2011 harvest of 401,000 ruffed grouse was down slightly from the 10-year peak of 465,000 in 2010 but was still one of the three highest annual harvests of the past ten years. Grouse populations tend to fluctuate on a 10-year cycle. Minnesota’s grouse population already has begun its cyclical population decline. Harvest results continue to show that even with a declining grouse population, Minnesota has better grouse hunting than almost any other state. During the spring 2012 wild turkey hunting season, DEC conducted the sixth annual Ruffed Grouse Drumming Survey. This survey asks turkey hunters to record the number of grouse they hear drumming while afield. The primary purpose of the survey is to monitor the number of birds drumming per hour (i.e., the drumming rate). Changes in the drumming rate illustrate trends in the grouse population when viewed over time and will provide insight into statewide distributions for this popular game species as habitats change both locally and on a landscape scale. You can view, print, or download the complete 2012 Ruffed Grouse Drumming Survey Report (PDF) (779 kB). We thank all the hunters that participated in the Ruffed Grouse Drumming Survey during the 2012 season. Hunters participating in the survey averaged about 25 hours afield during the 2012 season. They took about 7 trips afield for the season and spent almost 4 hours afield per trip. Survey participants averaged about 4.5 grouse observed per hunter for the 2012 season and had to spend 5 hours afield in order to hear one grouse drumming. Almost half of all survey effort took place during the first week of the season (May 1-7); however, the drumming rate (grouse drumming/hour) was relatively consistent (0.24 birds/hour) for the first two weeks of May. Overall, there was far more effort expended in the southern grouse season zone (about 83% of the total), but the drumming rate was similar between the two zones (0.21 grouse drumming/hour in the northern zone vs. 0.20 grouse drumming/hour in the southern zone). Significantly more effort was expended, and more grouse were observed, on private land than public land; however, public land had a higher drumming rate. Survey effort was distributed across major geographic regions of New York State. About 35% of the effort took place in western New York (14% DEC Region 8, 21% DEC Region 9), about 30% in central New York (DEC Region 7), about 25% in the southeastern portion of the State (8% DEC Regions 3, 17% DEC Region 4), and 11% in northern New York (8% in DEC Region 5 and 3% in Region 6). We observed the highest drumming rate in DEC Region 6 (0.29 grouse drumming/hour), but Region 7 was also above the annual statewide average of 0.20 grouse drumming/hour. The drumming rate was highest in the St. Lawrence Valley Ecozone (0.93 grouse drumming/hour), followed by the Adirondacks-Tug Hill Ecozone (0.25 grouse drumming/hour). The Appalachian Hills & Plateau, Catskills-Delaware Hills, and Champlain Valley ecozones were similar to or slightly above the statewide average. Since this survey started in 2007, almost 500 turkey hunters took over 6,400 trips afield and spent almost 25,000 hours recording their grouse observations. Over the past six years, grouse numbers increased, peaked around 2009, and have declined since. Whether this is a result of some cyclical fluctuation or is related to the influence of habitat and weather on nest and brood success is unknown. From 2011 to 2012 the number of survey participants, and the number of trips and hours afield all increased, but the drumming rate declined from 0.25 to 0.20 birds/hour. The amount of time spent afield to hear one grouse drumming increased from 4.7 hours to 5 hours. By almost every measure - total number of grouse drumming, grouse observed/participant, grouse observed/trip, and drumming rate (grouse drumming/hour) - grouse numbers during 2012 were lower than in 2011. Only the Champlain Valley and St. Lawrence Valley ecozones saw an increase in the drumming rate from 2011 to 2012, but it is important to note that due to a small sample size in the St. Lawrence Valley, the results from this ecozone are less reliable than in other regions and the increase was not statistically significant. In fact, survey coverage in much of northern New York is inadequate to reliably estimate drumming rates at the WMU aggregate level (e.g., Tug Hill, Northern Adirondacks). In the future, it will be important to recruit participants in this part of the state to produce an accurate index of grouse abundance there. The drumming rate in the Appalachian Hills and Plateau and Catksills-Delaware Hills ecozones were similar to last year, while the Lake Plains and Mohawk Valley-Hudson Valley-Taconic Highlands ecozones saw declines in the number of grouse drumming/hour from 2011 to 2012. Annual variation in grouse abundance is likely a result of variation in weather, including spring temperature and rainfall and winter snow conditions, and food availability during the summer and fall (e.g., hard and soft mast, insects). Data from the U.S. Department of Agriculture National Agricultural Statistics Service indicate that from April 1 through the end of May 2011, average rainfall was about 3.5 inches above normal statewide, and rainfall was above normal in almost every WMU aggregate in the state, ranging from almost 2 inches above normal in the Hudson valley to 5 inches above normal in the East Appalachian Plateau. This may have negatively affected nest and brood success last year. In areas with a lack of the early successional habitats on which this species depends, grouse, their nests, and young are more vulnerable to predation and other limiting factors, thus we tend to observe lower drumming rates in these areas. Minn. — Based on comments and anecdotal reports from the recent DNR roadside counts, it appears officials are optimistic – but probably not overly so – regarding the upcoming fall hunt. Wendy Krueger, DNR area wildlife manager in Slayton, said pheasant counts this year were better than last year, but not as good as 2010. During the past few months, the birds have been aided by a mild winter, and, for the most part, a dry spring – over-winter survival was good, as was production this year. Following a second consecutive harsh winter, last year’s count was down 82 percent from 2010, Krueger said. “It’s hard to get any lower than that, and it didn’t (in 2012),” she said. Tabor Hoek, private lands specialist for the Minnesota Board of Water and Soil Resources, reports the same. “Anecdotally, I hear things have improved from last year,” he said. The state’s conservation officers, some of whom participate in the roadside counts, also have weighed in on the topic, both good and bad. In keeping with the “upland” theme, the compact, ergonomic transmitter is finished in a bold UplandBlaze™ orange. This rugged, waterproof unit offers eight correction levels that are instantly selectable from the intensity dial. Delivering continuous or momentary stimulation is as simple as picking one of the two prominent buttons on the transmitter’s flat front. 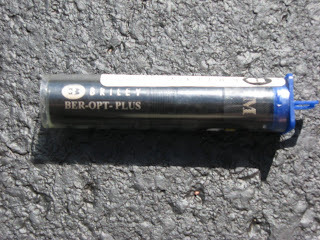 Both the transmitter and rugged, waterproof collar-receiver operate on rechargeable NiMH batteries. They also offer low-battery notice so a hunter is never caught in the field with an uncharged system. Together they provide up to ¾-mile of range for control of big-running dogs. The waterproof beeper unit slides onto the collar strap and provides a tracking signal audible from up to 500 yards. The user can turn the beeper on and off or switch beeper run modes by using the transmitter’s side buttons. Run modes include Silent, a beep every five seconds or a beep every 10 seconds. In all modes, the beeper beeps once per second when the dog points. It also offers a choice of nine different tones, adjustable from the transmitter so the hunter can pick the one he can hear the best or finds most pleasant to the ear. The beeper operates on a long-life, user-replaceable lithium battery. The UplandHunter™ 1850 can be used as a two-dog unit with the purchase of a second collar-receiver/beeper (Model SDR-BEEP). A toggle switch on the transmitter lets the user program the collars individually. Also available is the SD-AB Add-A-Beeper, which is the beeper unit only. The SD-AB can be added to any collar strap and can be operated with other SportDOG Brand® remote transmitters. Receiver Dimensions 3" x 1.5" x 1.5"
Unlike any other product in the category, this remote beeper does not depend on a training collar to operate. You can use your transmitter to operate the remote beeper by itself, the training collar by itself, or both together if you need them. This is a flexible training/hunting accessory that will fit your style. If you own a SportDOG UplandHunter 1850, the 1850 transmitter will operate all SDR-BEEP training collar and beeper functions remotely and allow you to run a second dog. If you own a SportDOG SD-1800, SD-2000, SD-2500, or SD-3000 system, your transmitter, will operate the SDR-BEEP training collar and the remote locate or "call" function on the beeper. SportDOG Brand, Gear the way you'd design it. 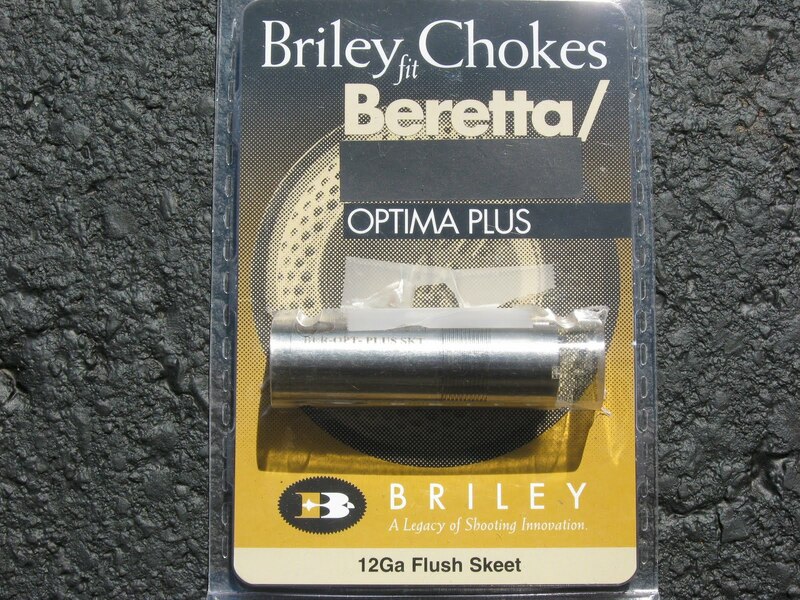 The Goose Getter Choke is made to bring big, big birds. You can count on it to deliver a lot of punch with the large BB's normally used in Goose hunting. Using this Improved Modified on Geese will deliver every time. The Dove Duster is a choke between Modified and Improved Cylinder, you get the best of both worlds. Distance is never a problem and when the birds are in close your pattern is open and ready. North Dakota’s spring pheasant crowing count survey revealed a 10 percent increase statewide compared to last year. All four pheasant districts showed an increase compared to last year. The number of crows heard in the southeast increased by 12 percent, northwest by 8 percent, northeast by 6 percent and southwest by 4 percent. Stan Kohn, upland game management supervisor for the State Game and Fish Department, said birds did not experience excessive mortality last winter. Even with a somewhat smaller breeding class of birds, Kohn said hens were in better shape this spring because of less winter stress. In addition, he said nesting habitat looked to be in pretty good condition in all areas of the state, and nesting and brooding weather this spring has been almost ideal. However, Kohn noted, the loss of CRP is going to decrease nesting and brooding cover in the future, and will negatively affect the pheasant population. Spring crowing count data is not always a good indicator of the fall population. It does not measure population density, but provides an index of the spring rooster population based on a trend of number of crows heard. Brood surveys, which begin in mid-July and are completed by September, are a better indicator of the summer’s pheasant production and provide insight into what to expect for a fall pheasant population. Pheasant crowing counts are conducted each spring throughout North Dakota. Observers drive specified 20-mile routes, stopping at predetermined intervals, and counting the number of pheasant roosters heard crowing over a two-minute period during the stop. The number of pheasant crows heard is compared to previous years’ data, providing a trend summary. $4,624,000 will be available in FY13 for projects that restore, enhance and/or protect habitats for MN’s fish, game and wildlife. New this year is the addition of the Expedited Conservation Projects (ECP) grant cycle, for projects under $50,000. There is a list of eligible restoration and enhancement projects- see the ECP web page for more details. The traditional Round 1 will open August 15 and close September 26, 2012- see the O25K/ U25K webpage for more details. Sign up here for the CPL Listserv and be the first to know when new information is available, including application open and close dates, deadline reminders, and award announcements. Funding for the CPL grant program is from the Outdoor Heritage Fund, created by the people of Minnesota. The CPL Program was recommended by the L-SOHC to (and approved by) the MN Legislature annually since 2009. The CPL Program has been recommended by the L-SOHC to (and approved by) the MN Legislature from 2009-2011. The MN DNR manages this program to provide competitive grants from $5,000 to $400,000 to local, regional, state, and national nonprofit organizations, including government entities. The grants are for work to enhance, restore, or protect the forests, wetlands, prairies, and habitat for fish, game, or wildlife in Minnesota. For FY2013, there is $4.624 million available for grant projects. The first round of O25K/ U25K will be open for applicants on August 16, 2012 and close September 26, 2012. The ECP grant cycle will open on August 16, 2012 and close May 15, 2013. See the respective grant cycle web pages for program information, including the Request for Proposals (RFP). In FY2012, there was a total of $5.31 million available for to award as grants. Applications for the first round of awards were accepted until September 15, 2011. Of the 31 applications ($2.83 million in requests), 20 projects were funded for a total of $1.8 million. Round 2 yielded 66 applications ($6.3 million in requests), with 38 projects being funded totaling $2.56 million. Remaining funds will be awarded during FY13 grant rounds. In FY2011, there were 2 rounds of funding. For the first round, 56 applications totaling $5.9 million in requests were received. Of that, 35 applications for a total of $3.72 million were funded. During the second round, 21 applications totaling $1.3 million were received and 13 projects for a total of $630,400 were funded. Click on the FY11 Grant Information link to the left for all current available information on these awarded grants. A total of $4,065,584 was awarded in FY2011. For the first year of the CPL Program, 127 applications totaling $16.5 million in requests were received. Of that, 35 applications for a total of $3.74 million were funded. Click on the FY10 Grant Information link to the left for specific application and summary information. All grant funds were awarded during the fall cycle. Many of the requirements for this grant program are based on recommendations by the Lessard-Sams Outdoor Heritage Council (LSOHC) to and approved by the Minnesota Legislature. These requirements were incorporated into the DNRs Conservation Partners Grant Program Accomplishment Plan as approved by the LSOHC. Links to all years of legislation and Accomplishment Plans are provided below. English Setter grouse dog excellence is demonstrated by pro-trainer Dave Hughes and Long Gone Kennel owner Lloyd Murray and filmed by Bird Dogs Afield. Quail hunters and biologists’ hopes were high for quail nesting conditions coming into the spring of 2012. A combination of increased population carryover from a mild 2011 winter and productive nesting conditions in early spring across the country gave quail managers hope of a more productive year. But as temperatures increased, rains decreased and now most of quail country is locked in drought. This will inevitably lead to a decrease in quality habitat due to lack of forb activity, abnormally high temperature pressures, and with emergency grazing on Wildlife Management Areas and Waterfowl Production Areas in many states, reductions of critical habitat. Most of the quail biologists are still optimistic that the early 2012 nesting start may have given the birds a few extra weeks to gain a wing up on the summer heat. Should the heat break and rains increase through the rest of the summer, populations could even see late breeding season growth in some places. Quail are resourceful and will make use of what they can, so the full story remains to be written for this year. Quail Forever’s complete quail hunting forecast will be released in September. Good news for The Heart of Dixie as Carry Johnson, Wildlife Biologist and Alabama Department of Conservation and Natural Resources Quail Coordinator, reports a slight increase for whistle counts when conducting this year’s spring songbird surveys. With the mild winter, Alabama bobs had a head start on nesting, which started in April -a few weeks earlier than normal. Like most of the country, however, Alabama has been suffering from drought conditions with only sporadic rains through July. Johnson also noted that acreage has been consistently added through Alabama’s Forever Wild Program since its start in 1992. 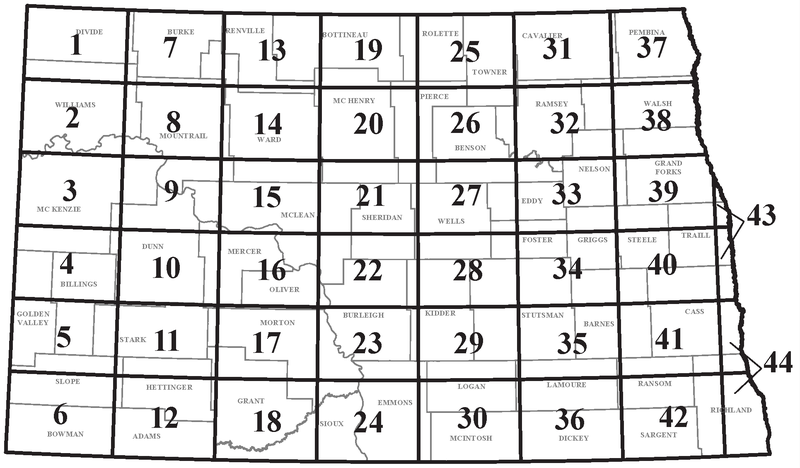 This year marks a new formal Fall Covey Count Survey on most of state owned land. Find more details at the Alabama Department of Conservation and Natural Resources website. For quail in Arizona, the most important thing to remember is “rain.” The three main species – of the five found in Arizona – all have different requirements of precipitation for successful breeding and hatching. Gambel’s quail rely on winter rain, scaled (or blue) quail require spring rains, and Mearns’ quail need summer rains. Gambel’s quail are indigenous to the Sonoran Desert, so there is no shortage of quality habitat for them. However, winter precipitation has been in short supply for an extended number of years, and thus lower than average food crops to produce large broods. They do respond well to localized rains, so pockets of average to above average habitats do exist. Scaled quail look to spring rains in the desert grasslands of southeastern Arizona, where precipitation has been limited due to many years of drought conditions. Efforts are underway to restore these areas after unregulated livestock grazing practices of the late 1800’s and early 1900’s converted native vegetation to non-native invasive ones. The Mearns’ quail is a neotropical species evolving in the oak savannahs and Madrean forests of the Sky Island region of North America. They are well-suited to the seasonal summer monsoon pattern in southwestern Arizona. Changes by the U.S. Forest Service in 2003 to grazing practices on leased lands have led to substantially better cover and nesting habitat for Mearns’, but El Niño/La Niña patterns in the Pacific Ocean have diminished the quality of monsoons in recent years. “Reports in general indicate that areas with large blocks of high quality habitat seemed to have a reasonably good carryover of birds into the nesting season, which bodes well if we get an adequate abundance and distribution of rainfall through the summer months,” says Reggie Thackston, Program Manager for the Georgia DNR Private Lands Program. Unfortunately as of July 24th, Georgia was still locked in an exceptional drought through much of the state. The upside is that winter weather was not an issue and generally the spring and early summer weather has resulted in adequate nesting and brood rearing cover. Since 2009, Georgia landowners have or will have received over $11 million through the USDA Wildlife Habitat Incentives Program for the planting and/or prescribed burning of over 40 thousand acres of longleaf pine (source Keith Wooster Georgia NRCS). When this occurs in the appropriate landscapes and at the appropriate management intensity it has the potential to be value added for bobwhites and numerous other wildlife species of concern. Kansas had a relatively mild winter, and it seems to have improved production last year in many areas of the northern-central and eastern regions, according to David Dahlgren, PhD, Small Game Specialist for the Kansas Department of Wildlife and Parks. The exception to this would be southwest Kansas, where last year’s drought hurt populations, and the below average production in south-central Kansas. Early nesting conditions in the Sunflower State were favorable to quail throughout much of its quail range; however, drier conditions have dominated summer which could put the quail population at a loss if there is not an increase in precipitation. Habitat acreage has stayed the same or slightly decreased. Kansas had a “relatively good sign up for general CRP,” Dahlgren said, though it did lose acres. Of the 500,000 acres expiring in Kansas, 375,000 acres were reenrolled. Elsa Gallagher, Quail Forever’s Regional Wildlife Biologist in Missouri, notes favorable early conditions had quail poised for a good nesting season; however, a significant drought statewide starting in the end of June has caused uncertain conditions for the state. With drought conditions continuing throughout the summer, Gallagher thinks there will be adverse effects for nesting and brood rearing conditions due to decreased forb and insect production. Nebraska’s quail population seems to be on the uptick according to Dr. Jeffery Lusk, Upland Game Program Manager for the Nebraska Department of Natural Resources. There was no significant late winter weather that would have adversely effected the quail population. However, the Cornhusker State did see an abnormally warm spring and continues to be in severe to extreme drought conditions. Lusk went on to report that if the quail were able to get an early start, there should have been a decent nesting success rate and that a good number of the routes of the Department’s summer whistle counts were up from previous years. Regionally, the state’s acreage loss/gain was varied from 2011. The eastern region of the state lost habitat to crop production, while the western part of the state did not lose as many acres by comparison. Lusk also notes the quail population is shifting to the western part of the state after the 2009 winter. The full forecast for the state will be available later this month. “Quail populations in New Mexico are on the low end of the boom and bust dynamic, characteristic of quail populations in arid landscapes,” says Dr. Joseph Sands, Migratory Bird, Wild Turkey, and Small Game Program Coordinator with the New Mexico Department of Game and Fish. The prolonged drought conditions in New Mexico are likely having a negative impact on quail habitat as these conditions result in reduced nesting and brood rearing habitat, including an overall reduction of insects that are critical to breeding females and chick development. A positive sign for New Mexico quail hunters is that the state received snowfall over the winter in quail habitats throughout the state. Despite potential isolated mortality events, this moisture will likely be beneficial to quail over the long-term. “There were no significant mortality events during the 2011-12 winter, and we expect a good number of California quail to enter the breeding season,” reports David Budeau, Upland Game Bird Coordinator for Oregon Department of Fish and Wildlife. Oregon’s spring was generally wet, but California quail are known for their later nesting, hopefully negating any negative impact. California quail numbers have been improving each year in Oregon since the population low in 2007. Another positive sign for this West Coast quail state is that the 2011-12 harvest was up 31 percent over the previous year. In the drier part of the state, the wet spring resulted in excellent habitat conditions which should improve brood survival. The wet spring on the west side of the state will likely negatively impact mountain quail production for the third year in a row. However, mountain quail hatches are also late, so the actual impact of the wet weather won’t be known until brood surveys are conducted in late July and early August. There was no significant impact on habitat in Oregon as most expiring 2012 CRP acreage was re-enrolled. “This year appears to be one of recovery for Texas quail, although it will take one or two more consecutive years of favorable conditions to get the state up above average,” notes Robert Perez of the Texas Department of Parks and Wildlife, “Prior to the breeding season, numbers were down from the previous year’s poor conditions in the two major quail hunting regions of the state, south Texas and the Rolling Plains.” Pockets in south Texas and in the central coastal prairies held fairly good carry over, but the many parts of Texas remain in drought conditions. Intermittent spring and summer rains, while behind for yearly averages, have been seen throughout the state. Quail do not need as much rain as crops of corn, so there was strong breeding activity in response to the rain events early and a lot of calling activity that began as early as April in some places, continued Perez. Brood reports began in late May. Due to long term drought conditions, much of the state’s rangelands could not handle the grazing pressure from cattle and other livestock. For this reason, suitable nesting cover is somewhat limited, but quail are noted for making the best of what is available. The TPWD quail forecast will be available mid-September. Texas quail have enjoyed improved conditions, but hunters shouldn't expect dramatic improvements in the bird's numbers in the field. Steve Lightfoot, spokesman for the Texas Parks & Wildlife Department, said research from TPWD biologists indicate that Texas bobwhite numbers have declined 80 percent from levels in 1970. "We're definitely in catch-up mode," he said. Texas' dry spill has taken its toll on the prized bird. "Prolonged drought has punished quail more than anything," said Dr. Dale Rollins, a professor and extension wildlife specialist for Texas A&M and director of the Rolling Plains Quail Research Center near Roby in Fisher County. "Roadside quail counts won't begin until early September, but I'm hearing from people who indicate we may have had a hatch of young birds this spring," Rollins said. "Even at best, we're not at the level that we were in 2007. If 2007 was a nine on a rating scale, then this season will be a three. "I was encouraged with spring rains, but since then pastures are drying up. To date, we've had 8.7 inches of rain at the research center, not nearly enough to help quail numbers." In the Trans-Pecos, the reproduction of the scaled quail (blue quail) appears to be rebounding after a dismal hatch during last year's drought. "Parts of the Trans-Pecos received timely rainfall this spring, setting the stage for good nesting conditions. And the areas that had adult carry-over from the 2011 season are experiencing decent reproduction so far this year," Jason Wagner, a wildlife biologist for the TPWD in Pecos County, said. "Hatches of 15-20 chicks have been seen throughout the Trans-Pecos," he said. "Habitat is in decent condition and a second hatch is not out of the question at this point. However, don't expect a banner year because the adult population is low."